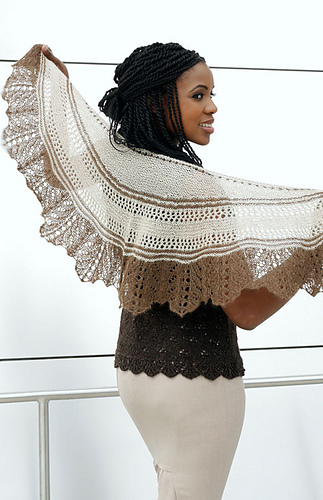 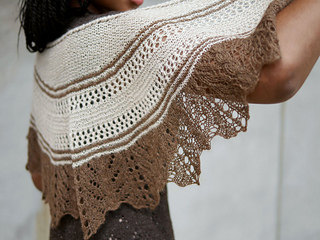 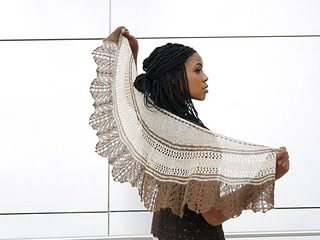 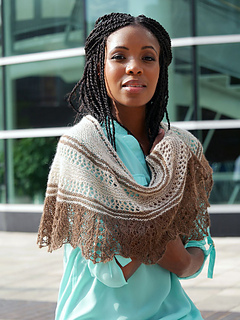 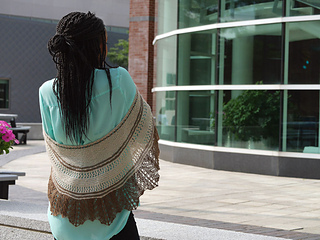 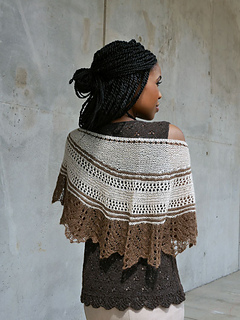 This light and airy crescent shawl in two sizes (petite/tall) begins at the hem with a cable and lace pattern that segues to a garter stitch and mesh body. 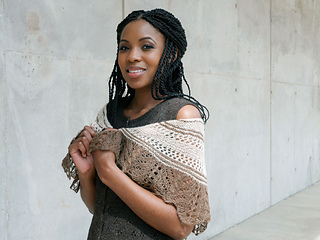 “Pi” shaping is used throughout the easy to work lace sections with concealed decrease rows, while the shoulder area is shaped with short rows for a lovely fit. 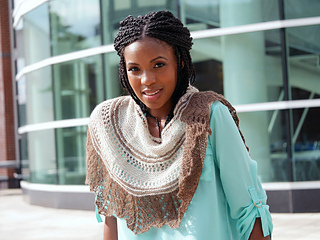 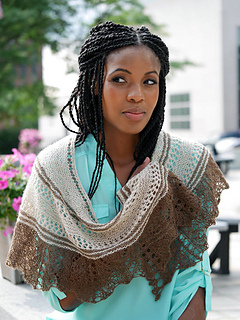 Shown in a two-color arrangement, the knitter could easily add a third shade or work the shawl in a solid color—the design lends itself nicely to gradient colorways as well. 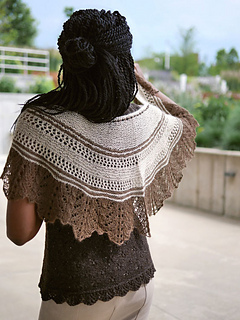 Sample shown is size petite, knit in a special run of Salt River Mills Suri Decadence.